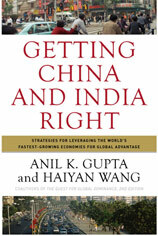 By 2025, China and India will be two of the world’s four largest economies. By then, economic ties between them should also rank among the ten most important bilateral ties worldwide. 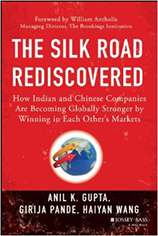 The Silk Road Rediscovered is the first book ever to analyze the growing corporate linkages between India and China. Many multinational corporations think of China and India largely for off-shoring and cost reduction and limit their marketing to the wealthiest few. With such shortsightedness, the opportunity of the century will pass them by, argue business strategists Anil K. Gupta and Haiyan Wang. To help business leaders develop robust global strategies in the age of China and India, the authors uncover the surprising range of the hidden opportunities and challenges presented by these emerging giants. 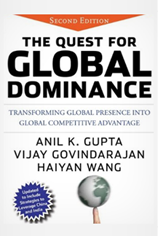 They reveal the secrets to capturing the hearts, minds, and wallets of consumers there and to leveraging the complementary strengths of each country to achieve global dominance. With their enormous populations and rapid economic growth, China and India are the only two countries to feature four different realities, each strategically crucial to the future of any global enterprise.